Old film footage can make your family stories truly unforgettable–even for those relatives who seem to forget every fact you tell them about your genealogy! Follow these tips to find old film footage and video online. If a picture’s worth a thousand words when you share your family history, how much more do you think a video is worth? A while back, we told the gripping story of Betty McIntosh, a Honolulu reporter-turned-World War II spy. What fun it was to research and share on the blog! 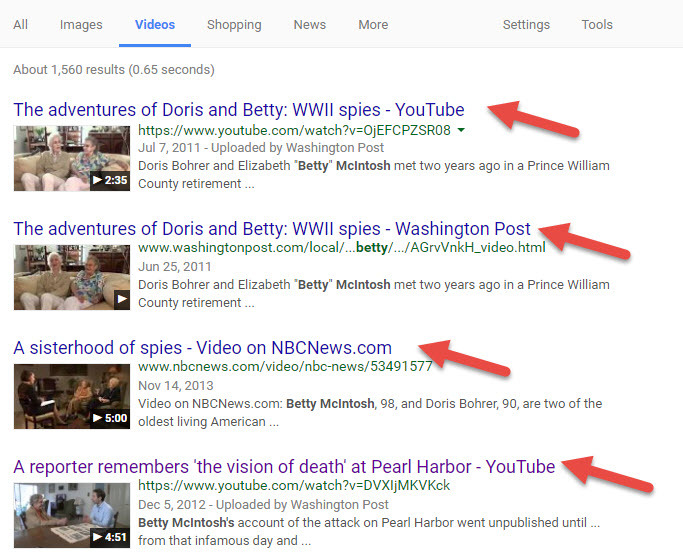 The post has multimedia sources threaded throughout: an image of a young Betty from the CIA’s website, news articles, oral histories with more memories of Pearl Harbor, a YouTube video interview with Betty, and even a dramatic radio broadcast clip from the day of the attack, when the media was trying to reach the mainland with news of the attack. We found all those sources via Google searching. And while we could go into great depth on how to find each of those kinds of sources (and I do, in resources such as my book, The Genealogist’s Google Toolbox), in this article, I wanted to share some tips on finding old film footage online, using Betty as a case study. 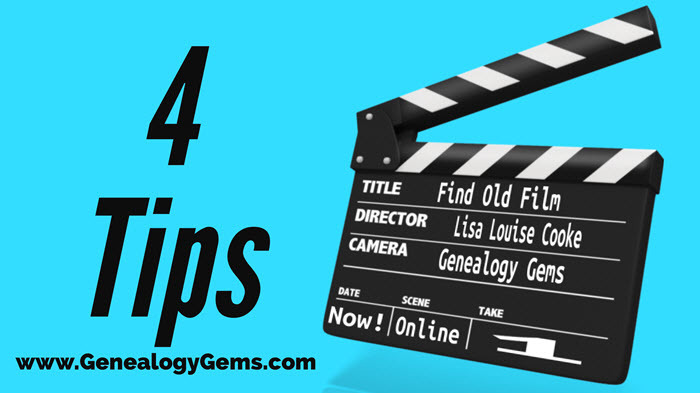 Think about how you might use these tips to look for old video or films related to your family history–and let me know what you find! I’d love to hear from you. 1. Search for your topic on YouTube, the world’s largest video-sharing website. 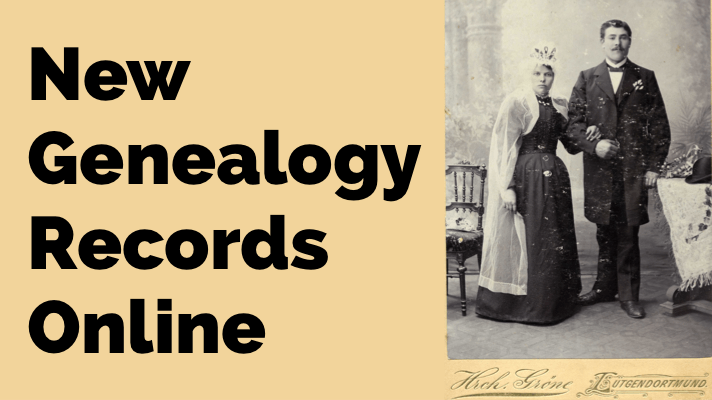 My book The Genealogist’s Google Toolbox has an entire chapter devoted to YouTube searches for family history, so I won’t go into great depth here. 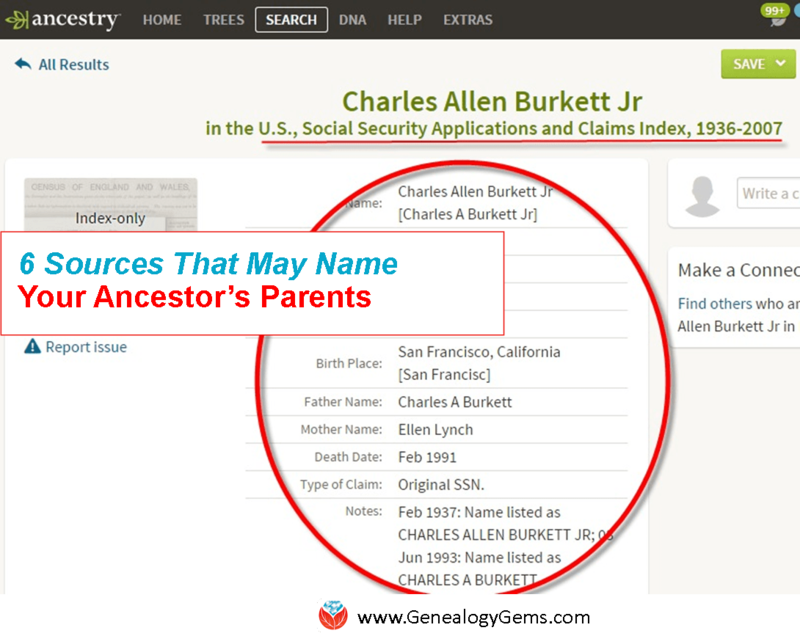 I will tell you to think of search terms that pertain to the family history stories you want to share: a person’s name, a place, an event in history, or even an occupation or industry. Enter those search terms at YouTube.com. You’ll have some duplication with results from YouTube. In the case of Betty McIntosh, I found two additional videos that didn’t come up on YouTube. One of them was at NBC News.com and the other was an hour-long interview on C-Span! 3. Run multiple searches on both Google and YouTube. Repeat your searches with various search parameters to broaden or narrow your results, or to capture different kinds of results. 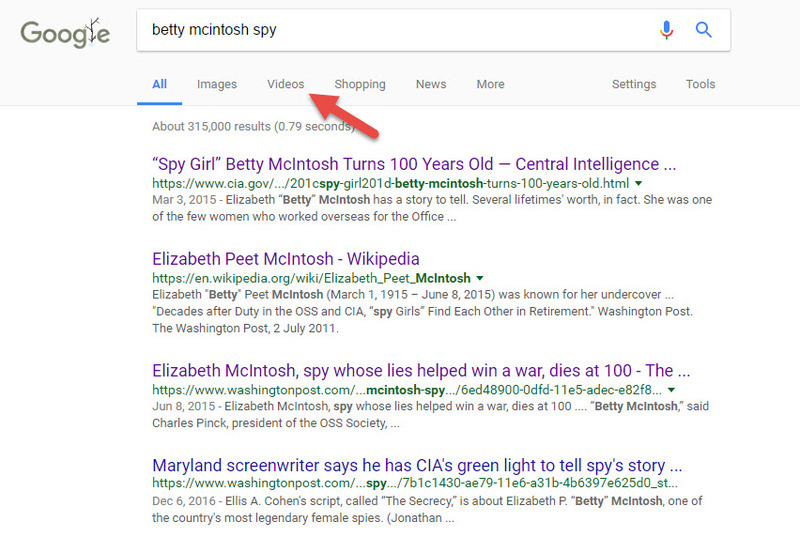 In Betty’s case, keywords such as spy and reporter were important to filter out unwanted results. 4. Pay attention to copyright restrictions if you want to share old film footage, such as if you’re making your own family history video. For example, I found these copyright restrictions for using C-Span video (noncommercial use is allowed and there’s even a handy video clipping tool right on the site if you want to clip part of it and save it). 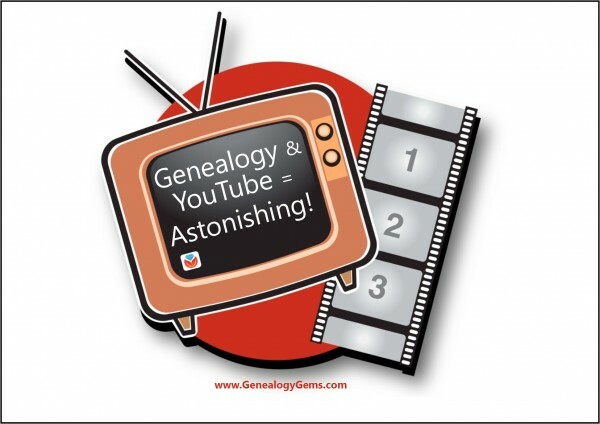 More on YouTube for Family History: Get Inspired!